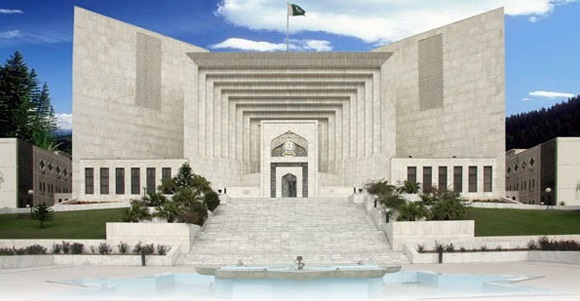 The Supreme Court of Pakistan has rejected as "frivolous" the petition of the country's top anti-graft body against Islamabad High Court's decision to hear the appeals of jailed former prime minister Nawaz Sharif, his daughter and son-in-law against their conviction in a corruption case. The apex court also imposed a fine of 20,000 Rupees on the National Accountability Bureau (NAB). Sharif, his daughter Maryam and son-in-law Muhammad Safdar are serving jail terms of 10-years, seven years and one year respectively in the Adiala Jail after the accountability court convicted them on July 6 over the family's ownership of four luxury flats in London through illegal means. The anti-graft watchdog yesterday moved the Supreme Court against the Islamabad High Court's decision accepting Sharifs' Avenfield verdict suspension pleas for hearing.